Some of you might recognise this skater. Yep, it’s ref Fury Godmutha. But this year, she has joined the Hell’s Wives crew as a player. Bringing her knowledge of rules and her wicked skating skills, we are stoked to pack up with this chick in 2015. From: Born in Otaki, childhood spent on Norfolk Island and currently living in Whangarei. Currently skating on: Riedell 965 boots, Riedell Arius plate and Rollerbones Turbo wheels, although I change my wheels around. 1: Three words to describe you? Energetic. Analytical.Talkative. 2: What’s your ultimate roller derby tune? Bad Reputation by Joan Jett to name one. 3: What inspired your derby name? Stephen King’s book Christine about a possessed1958 Plymouth Fury. 4: What was the most memorable moment in your roller derby career so far? Attending the first World Cup in Toronto in 2011. Image: Adam Baines, Picture Finish Photography. 5: What are you most afraid of in life? Enclosed spaces. 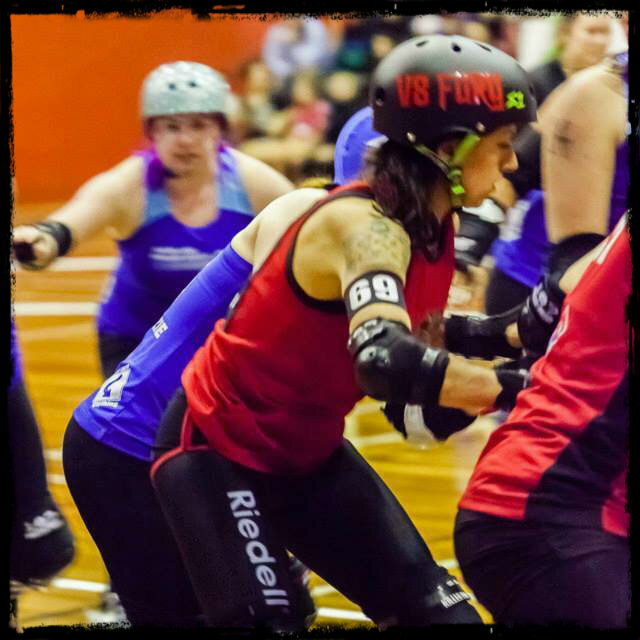 6: What is the best roller derby advice you have ever received? Use all of your body on the track. 7: What’s your life motto? Get back up and carry on. 8: What’s your fitness regime? Body Attack (x2 weekly), Body Combat (x1weekly) and Body Balance (x3 weekly) Les Mills classes and skating (x2 or 3 times weekly). 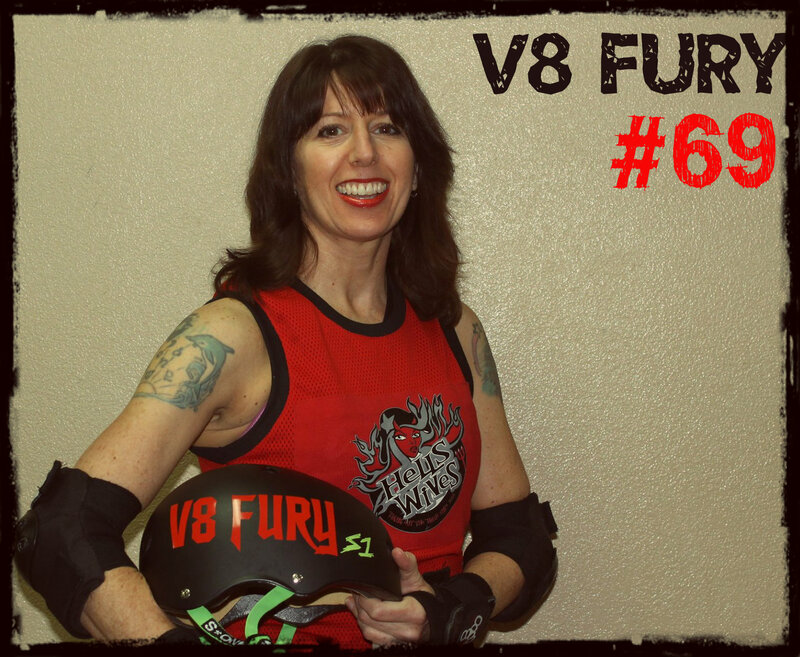 9: What’s your roller derby goal for 2015? Getting back into playing after a four year break and improving my blocking skills.